That customer is Oliver Kuttner, who was last seen racing in the final event of the 2006 Grand-Am series, at Miller Motorsports Park. He raced a Doran Daytona prototype, with James Gue and Tony Ave, and they finished 19th overall. He used those words in a series of fascinating short films – here. 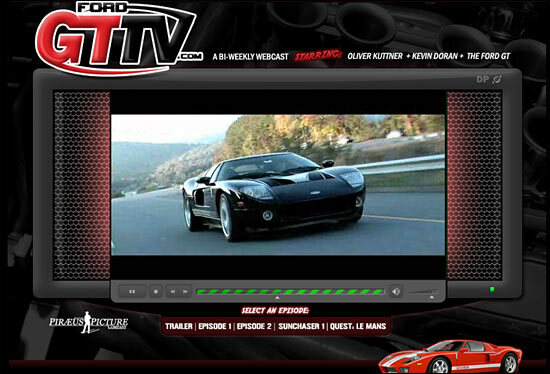 Despite Kevin Doran suggesting that the Ford GT would be a GT2 car, the films contain expressions that clearly indicate that it’s destined for GT1. If you have time, click the link: the films are well worth a look. Kuttner took delivery of a bare Ford GT chassis nine months ago: we’ll try and follow this project in the coming weeks and months.